Are you an entrepreneur? English learner? If you are taking on a big new mission, you have to find ways to stay motivated to keep moving forward. Progress is a HUGE motivator. So how do you see quick progress when you have long-term goals? In the book Rework, two very successful entrepreneurs give you excellent tools that you can use to make your projects, be it a business, job, or even English learning, a big success too! 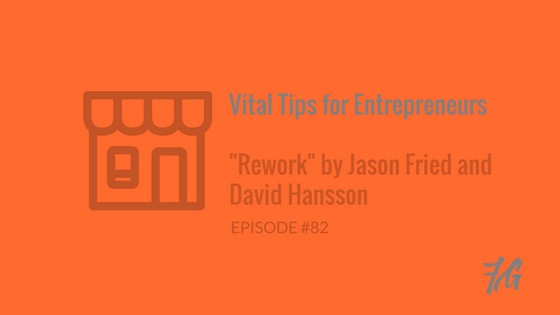 Learn to big ideas from this very insightful book, Rework, by Jasin Fried and David Hansson.